Disruptor to the ride share space, George McEncroe started a service that understands it’s female passengers. A tech start-up and female-founded business, Bec Brideson saw how incredibly powerful the proposition was. Venus and Shebah have been rolling together start-up style and seen not only positive brand results, but the community coming together and solid financial growth. 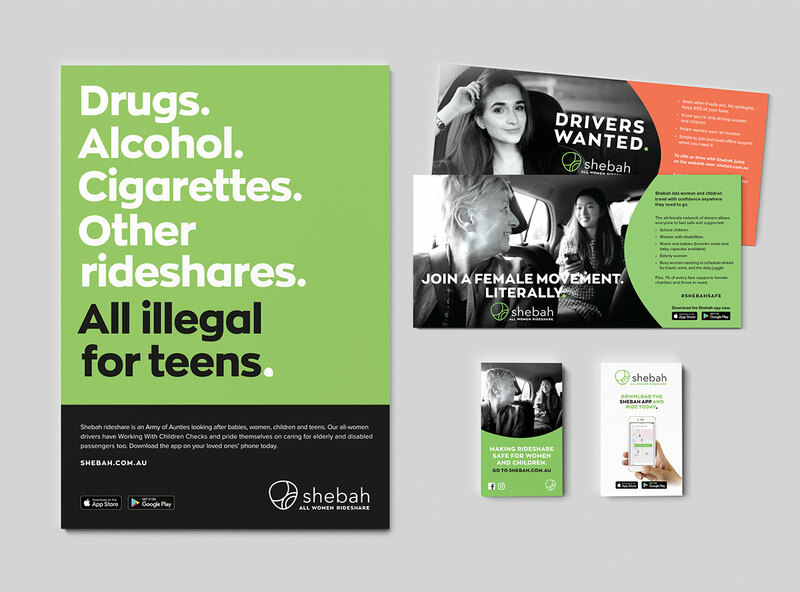 Lacking capital to pursue their next stage of growth, female-only rideshare Shebah tasked Venus with putting together a strategy and executing their marketing for an equity funded capital raise set at a minimum of $1M. 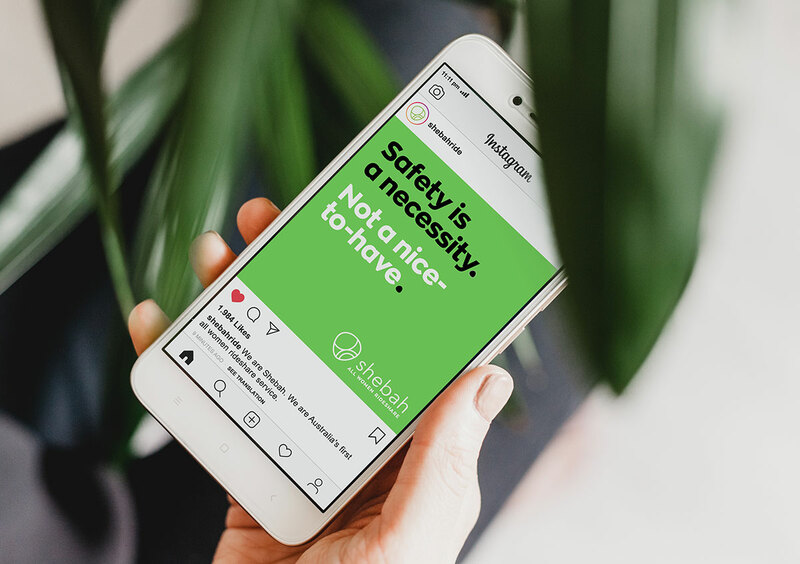 Venus was able to roll out a clever six week comms strategy pulled together by sleek, streamlined assets and emotionally resonant messaging utilising Shebah’s owned media, committed community and a small media budget of only $10,000. In less than two weeks, Venus’ smart and emotionally resonant campaign rallying Shebah’s national “army of aunties” was able to catapult them to their minimum of $1M. 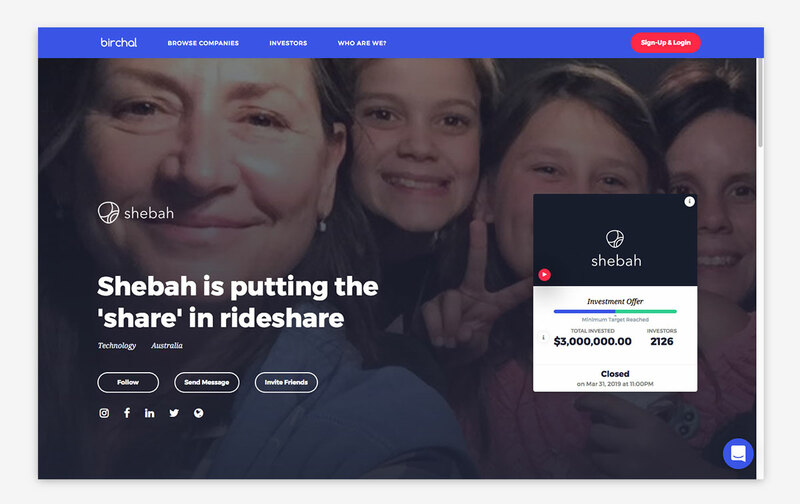 By close of the campaign (31st March 2019), Shebah’s cap raise had reached their maximum of $3M with 2,126 investors. According to The Australian, this will be “Australia’s largest equity crowd-funding deal to date” eclipsing fin-tech star Xinja’s $2.6M raise.